27-29 October 2018, £549 plus £40 per night single room supplement, where applicable. Places available. 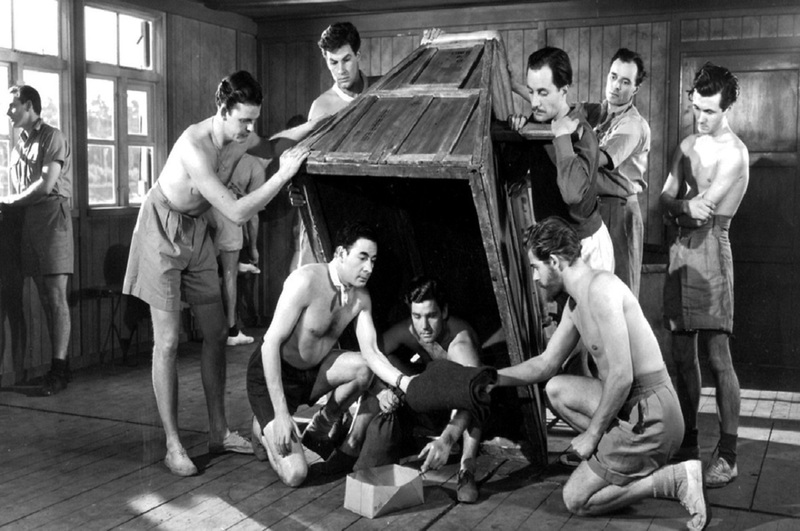 The Wooden Horse is a 1950 British Second World War war film starring Leo Genn, David Tomlinson and Anthony Steel. It was directed by Jack Lee. It is based on the book of the same name by Eric Williams, who also wrote the screenplay. The film depicts the true events of an escape attempt made by POWs in the German prison camp Stalag Luft III. The wooden horse in the title of the film is a piece of exercise equipment the prisoners use to conceal their escape attempt as well as a reference to the Trojan Horse which was also used to conceal men within. It was shot in a low-key style, with a limited budget and a cast including many amateur actors. On the 75th Anniversary of the Escape we explore both fact and fiction. The prisoners are faced with the problem of digging an escape tunnel despite the accommodation huts, within which the tunnel entrance might be concealed, being a considerable distance from the perimeter fence. They come up with an ingenious way of digging the tunnel with its entrance located in the middle of an open area relatively near the perimeter fence and using a vaulting horse (constructed largely from plywood from Canadian Red Cross parcels), to cover the entrance. Stalag Luft III, known to many as “The Great Escape” Camp was the vast POW Camp for Allied Airmen cut out of a thick forest in Upper Silesia, then in the East of Germany now in Poland and located 100 miles southeast of Berlin. The site was selected because it would be difficult to escape by tunneling given the sandy sub soil – however, the camp is best known for two famous prisoner escapes that took place there by tunneling: The Great Escape and The Wooden Horse Escape. We explore camp life as well as dozens of escapes attempts made by the POWs.